And it might take my two 6000's as well, rather than some post it notes. I've found a few of these cases on eBay so I may grab one soon. Well you won't see an ad like that these days! Yep, that's from an age that has passed now. No more ads like that I'm guessing! So what's next on the PDAT front then? 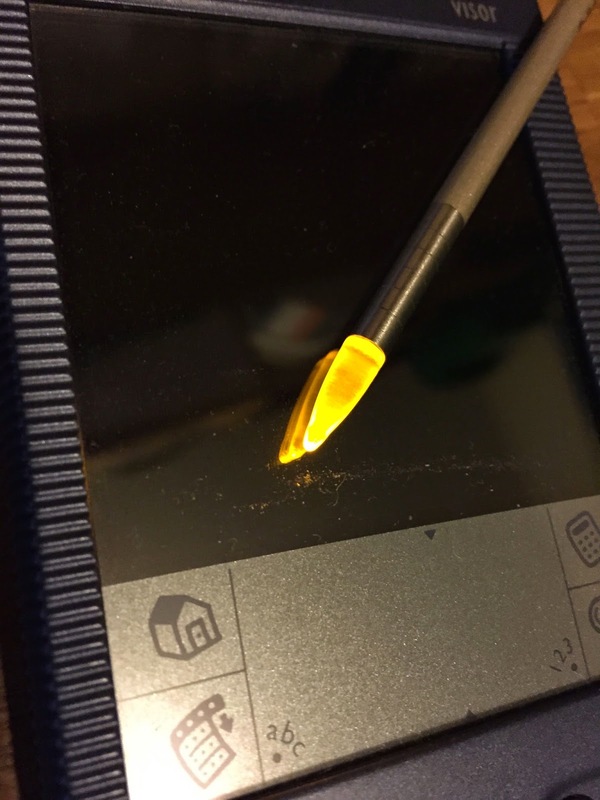 Well, now that I've managed to get PDAT running on my old Libretto, and it will export an actual .prc (Palm OS app) file, and what's more it'll beam that on to a PDA over infrared too. So that's pretty good. But what's next? 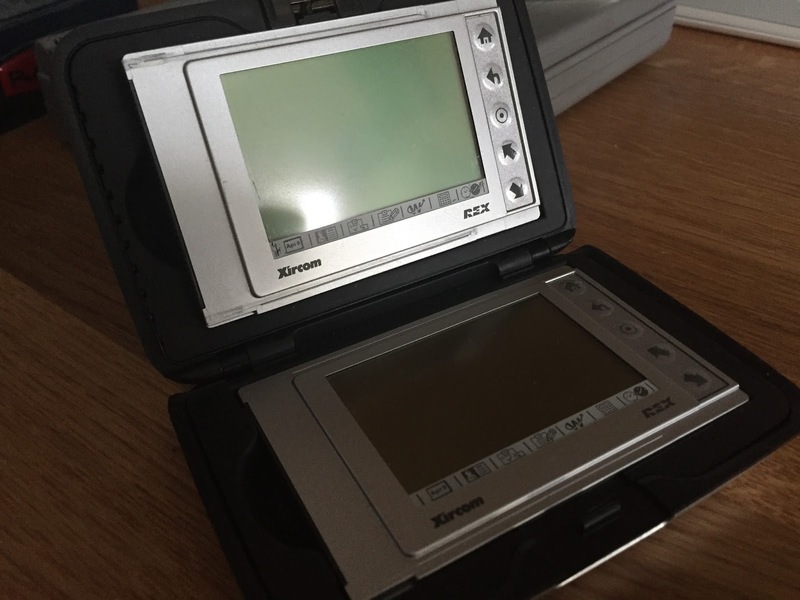 I've been thinking about what I should make, and the first thing that came to mind, was an Palm OS app that is a library or database of Palm PDAs. From start to finish. What do you think? Of course I doubt very much that they'll go anywhere now, but they were interesting and had some potential. Wireless #infrared transfer to #pda complete! Even so I think that this was a pretty impressive achievement for this guy. Building a community based replacement for the rex.net service can't have been easy. Of course it's gone now but as I was digging around for Rex stuff I found it and thought it note worthy. The birth of the smartphone? Perhaps! If not, then at the very least it was a massive step forward for Handspring and for the mobile world as a whole too. I never had one of these, but I'm still, at times, tempted to get one. Of course I'm not sure what I'd use it for. Not that that's stopped me in the past. 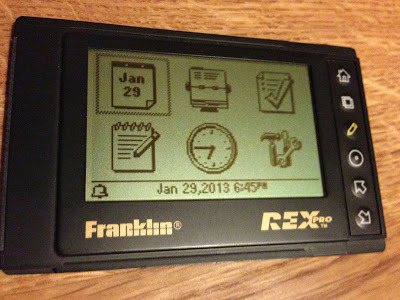 Yep, the pilot was announced and is a milestone to this day in the mobile device history line. I actually owned one very briefly but a long time after it was released. This device was the beginning of so much! Having realised that I wasn't going to find a case that worked for me for my two Rex 6000's I started to think about what I'd like from a case, and I came up with this. It's an old cassette case. Actually, not very old if the truth be known. It was given to me by a friend just before Christmas. He picked up a two pack of tapes at a pound shop as he was amazed by the fact that you could actually still buy tapes, especially in a pound shop! Anyway, I opened these the other day and found that the case was quite different from the old traditional tape cases. I might post a comparison at some point. 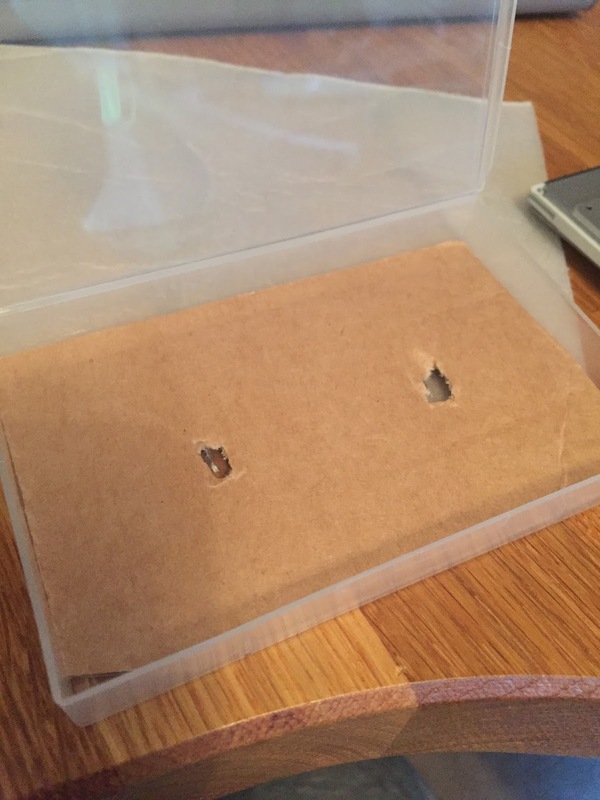 Using the case as a way to have the two Rex's sit together, one inside, and one on the inside of the lid. It seems like a good idea to me, so I've started using some cardboard to prototype the interior of the case. When I've finished it I'll show what it's like. 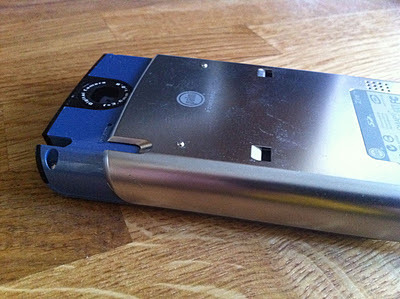 This is a device that I always wished I'd had, but never got around to, and these days they're quite expensive to get hold of. A bit of a shame really. A nice device and, in its day, a real innovation. This is an Iomega Pocket Clik case. 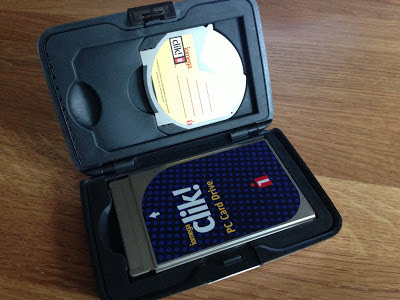 It only actually takes one PCMCIA card in there, not two. I've just perched the second one there to show what I'd like to be able to do. I'm still looking around for a case that'll do this for me, but so far no luck. It's a real shame, but http://mynewpalm.com has not changed since it first launched. 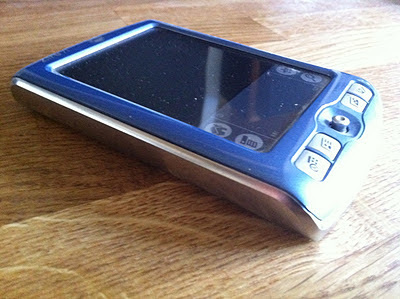 In fact my new palm is old now, old and, nothing to do with Palm anymore it seems. 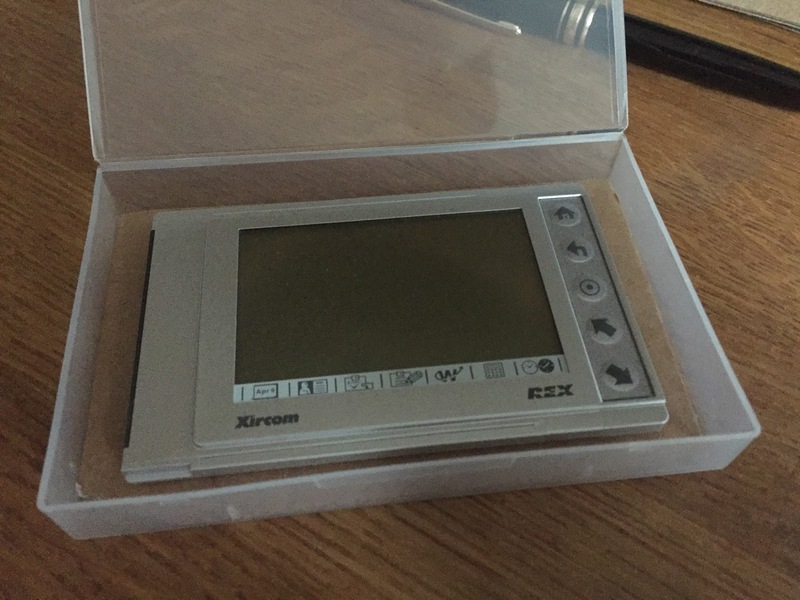 I never had one of these, but they did seem good, with the same comments I've made about the other Sony devices over time. This is a useful link to the PDAT web ring care of Handheld Breadcrumbs. It's sitting on the internet archive, but it has some handy active links in there. 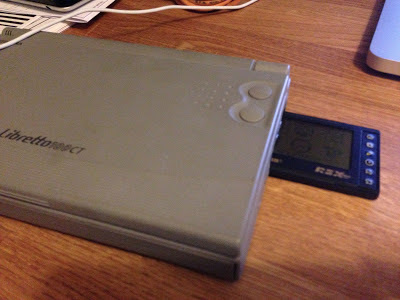 I thought it might be interesting and handy to be able to have a case which could carry two PCMCIA PDAs (Rex's) together so you could open them up and use them sort of side by side. 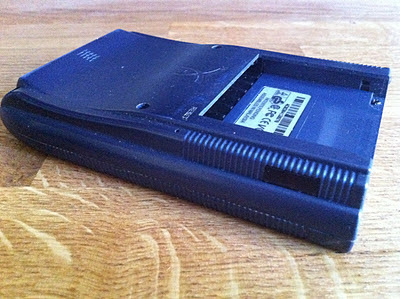 I've been looking around for such a case and haven't really located anything properly useful, but what I really want is something like this. It would make a nice little case and a fun way to use two Rex's together. So I'm going to investigate that a bit further and see what I can do. For a few days now I've been hunting around trying to find some of the more interesting libraries for PDAT. Of course, they've all long since vanished. There's nothing around anymore. I've even tried to see if any are available on the internet archive's wayback machine, which is pretty awesome for stuff like this. The pages are there, but not the downloads. They're all missing, which is a big shame. There's almost certainly nothing I can do about this, so I expect that I'll give up on it soon enough and just have to console myself with the fact that I do at least have the last version of PDAT and the registration codes to get it to work. So, what is PDAT anyway? I thought it would be a good idea to answer, or at least try to answer that question as a result of this comment. 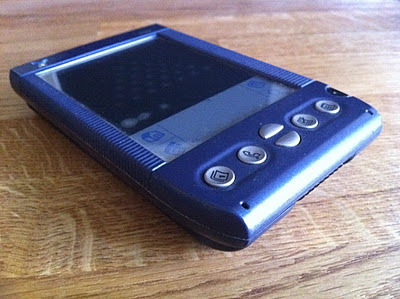 The PDA Toolbox site is no more, but you can still find it via the Internet Archive (Wayback Machine). Here's an example snapshot of the old site. All this through our easy to use, drag-and-drop user interface. PDA Toolbox allows you to quickly create professional looking programs, in fact several developers are currently selling programs developed with PDA Toolbox and it's predecessor, Palm Factory. 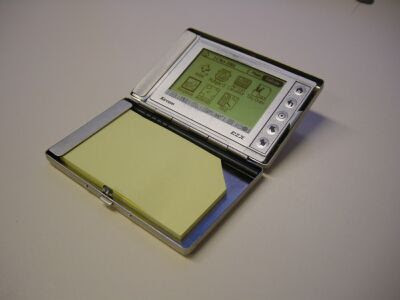 Creating applications for the Palm organizers has never been easier, or more fun! Fun is Good, and We make good programming fun!" Hopefully that helps with understanding what I'm talking about when I mention PDAT. I've been reading up on PDAT as it has been years since I used it and I haven't been into it since then. Now that it's up and running on my Libretto I thought it might be useful to see what is and is not possible. Basically PDAT is all about forms and tables. 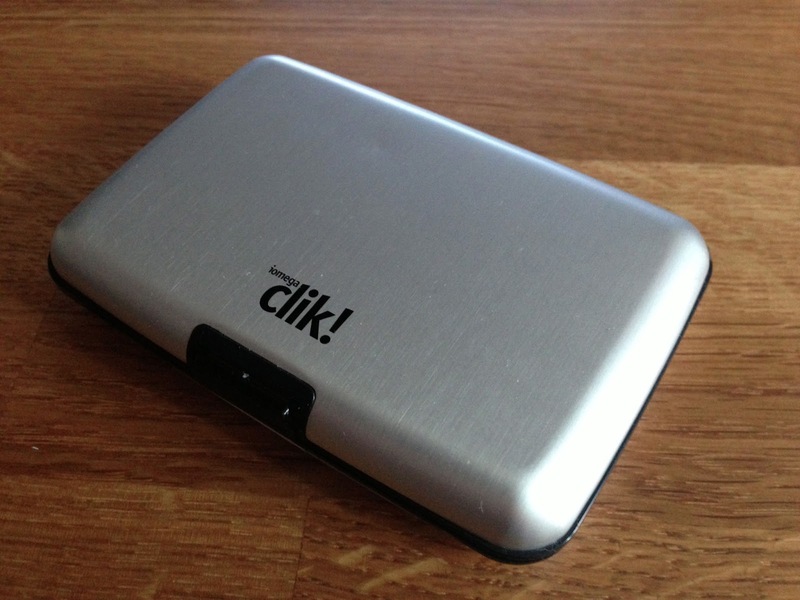 It has a lot of functionality in it, but a lot has disappeared as Palm OS became obsolete. 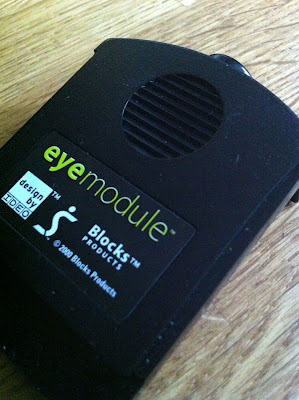 Anyway, it still can be useful, and, hopefully, I'll be making some things with it soon enough. I've even got a couple of ideas already! I've been seeing just how long the very aged batteries on my Libretto 100CT will last, and so far, the results aren't bad at all. I'm quite impressed. It's not like I have plans to take the little thing out and use it extensively in coffee shops, but on occasion that might be needed. So it's good to know that actually it won't fail in minutes. 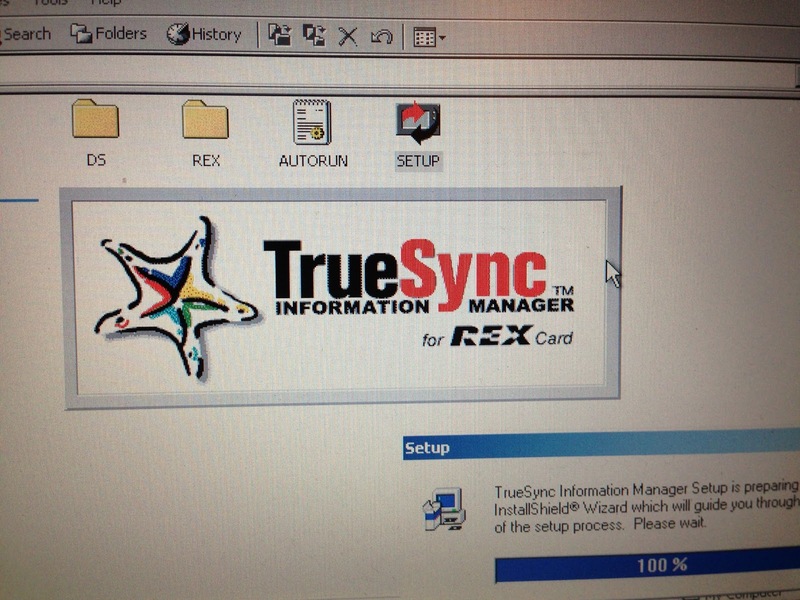 For some reason it would appear that TrueSync isn't happy with working with my Rex 6000. I've no idea why at all. Any clues? It's probably a decade or so too late to be asking for help with this isn't it. I never thought that this was a good idea, and I think it was the beginning of the end for the whole of the Palm OS ecosystem. What a very great shame that was! They could have done so much more I think. What to do with a Rex? 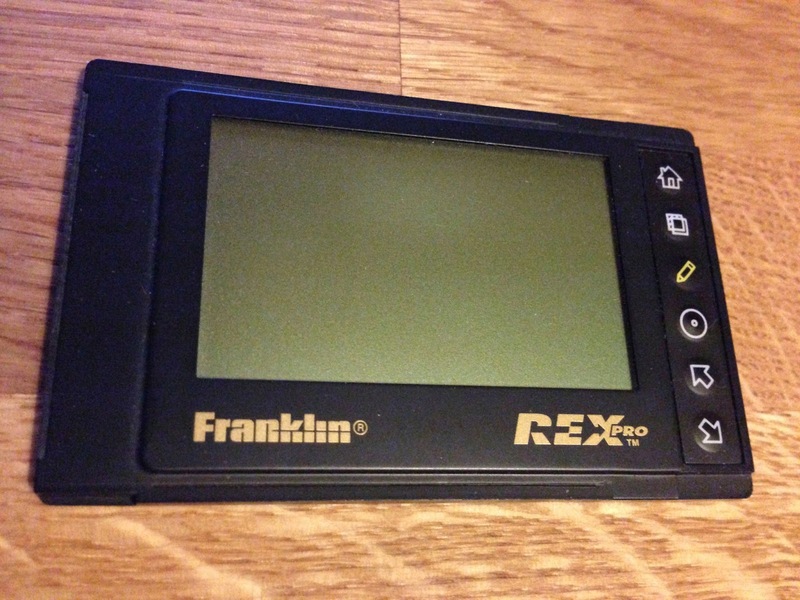 I had hoped for some kind of PDAT equivalent for the Rex series. However, a reasonable look around the remaining sites seems to suggest that no such thing ever existed. If it did, there's no trace of it now. It makes sense of course. There was a smaller community around the Rex than the Palm OS and it never had the ability to install software until the Rex 6000, so there was no PalmGear equivalent. Even so, it makes it difficult to find new ways to use these little devices. That's not to say that I won't find a way of course. Hopefully I will, but, as I've mentioned before, there isn't a way to connect two or more Rex devices, so that too makes it a more complex problem. It occurred to me the other day. Quite recently in fact. There is no Palmorama logo. I think it's a bit of a shame really. I could do with one. Something a bit different from the PalmSounds logo too. So, if you have any ideas, or suggestions, please let me know. I've set up a new page in the library, the Rex 6000 page. The idea being that I'll put some bits and pieces from the Rex world in here, just in case someone wants them at some point. As I put more in I'll let you know. Would it be useful to have a Rex section in the library? 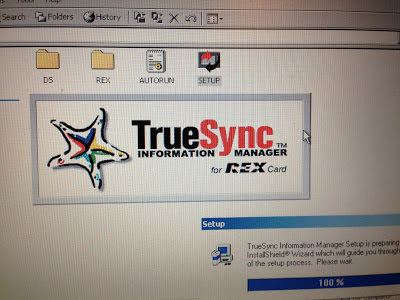 I was wondering whether I should make a little room in the library for some of the Rex 6000 addins I've been locating. I thought it might benefit someone at some point. I'll probably go ahead with it soon and when I do I'll let you know where you can find stuff. Palmorama has just gone past 1500 posts! I didn't even notice it until a minute ago! That's amazing! If I'd thought about it I'd have made post 1500 a bit more special. In the end it was about an old Rex 6000 site. I suppose that's fitting in a way. Anyway, that was a bit special and worth celebrating. Back to normal now! 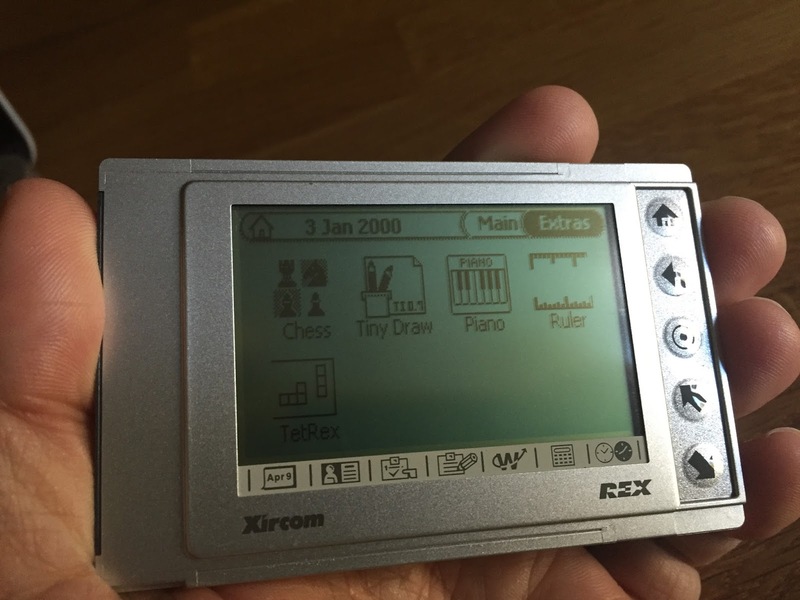 As you can tell I've been checking out old Rex sites to see if there's still any useful stuff available for download for the Rex 6000. There is. Not much, but there is, and here's a good example, "Roo's Rex 6000 page". Some interesting and possibly useful stuff in there. 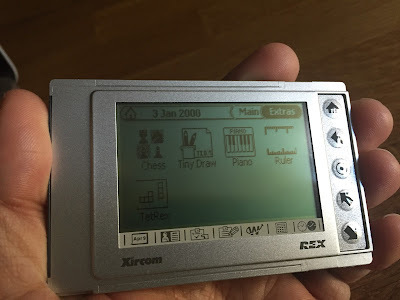 If you have one of the Rex PCMCIA PDAs then you might be interested in this link to the old Rex Forum, which is still there, at least for the time being anyway. I've found it quite handy actually. Whilst I don't know much about this devices itself I do know that they were built for commercial / industrial use and are quite rare now, although you can occasionally find the odd company that still use them. Both of which were very nice devices in their own way. Actually Sony were pretty prolific in releasing Palm OS based devices and produced them for virtually all tastes and budgets. In the end I had a handful of their devices over time and still do, but I often had the impression that they tried to put too much in each device and compromised at times. 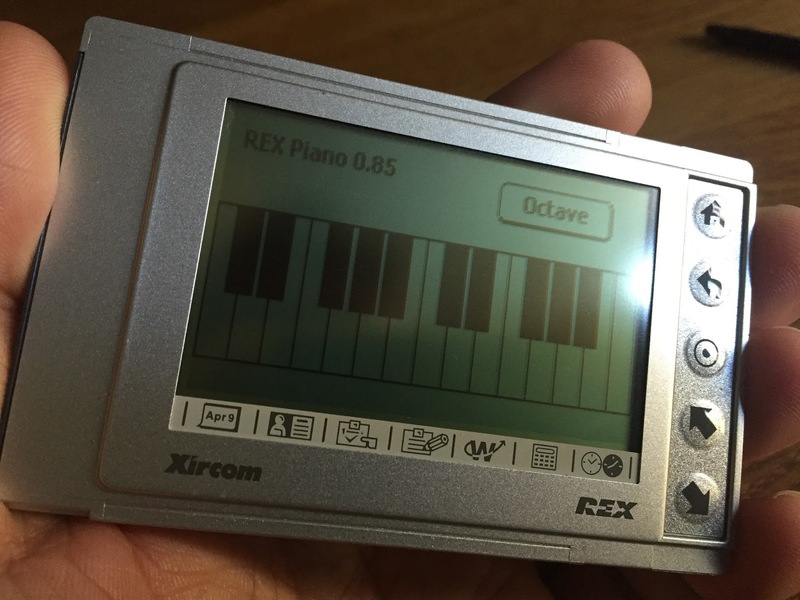 I was thinking about this the other day (as I do), and I thought that one of the coolest things I could have for my little collection of Rex devices would be if they could actually talk to each other. What I mean is if they had infrared or something similar. Of course, there's no way anyone is ever going to make this things able to talk to each other now, but it would be sort of cool if they did have Ir capabilities. 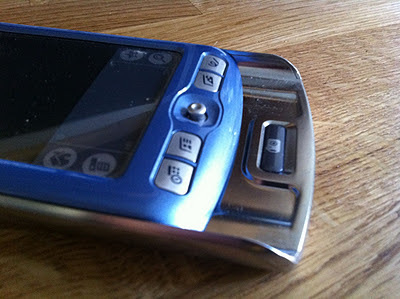 But I know know it's not happening, and that's ok.
Not a massive thing really, but it did bring some new things for Palm users and fixed a lot of problems too. 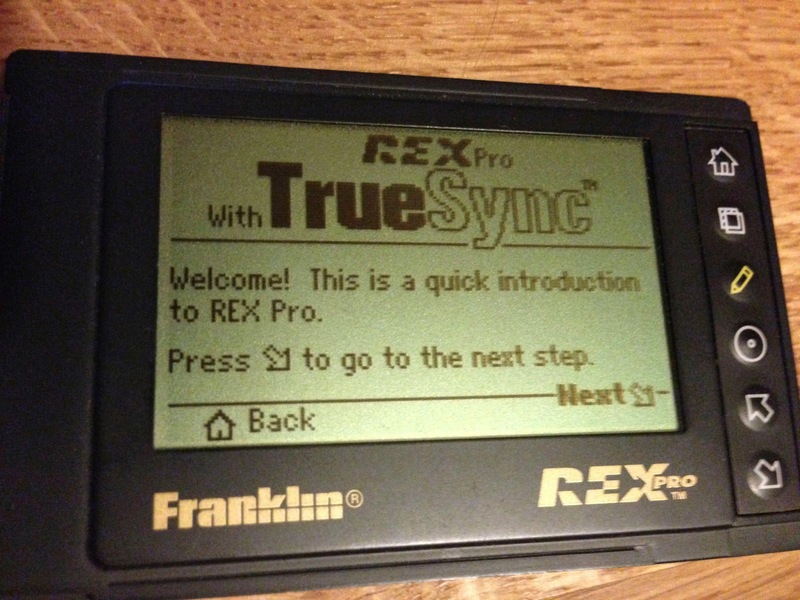 This is the simplest way to get a Rex to sync with data, but of course it requires a PCMCIA slot, and of course the Libretto has one. So that's fine. It is a bit easier than using one of the Rex cradles, although I do have one of those now. PDAT (PDA Toolbox) is a now abandoned toolkit for making PDA (Palm) apps. It's basically form based, and allowed you to place GUI objects onto a form with drag and drop. However, it also had a scripting language that allowed you to take it further than just form based stuff. I started lots of projects using PDAT (what's new there then), but never finished any of them because they all got lost when a laptop went horribly wrong. I decided to try out PDAT on a virtual machine, but it wasn't happy at all. Then I tried it on my Libretto, and guess what, it works like a dream! 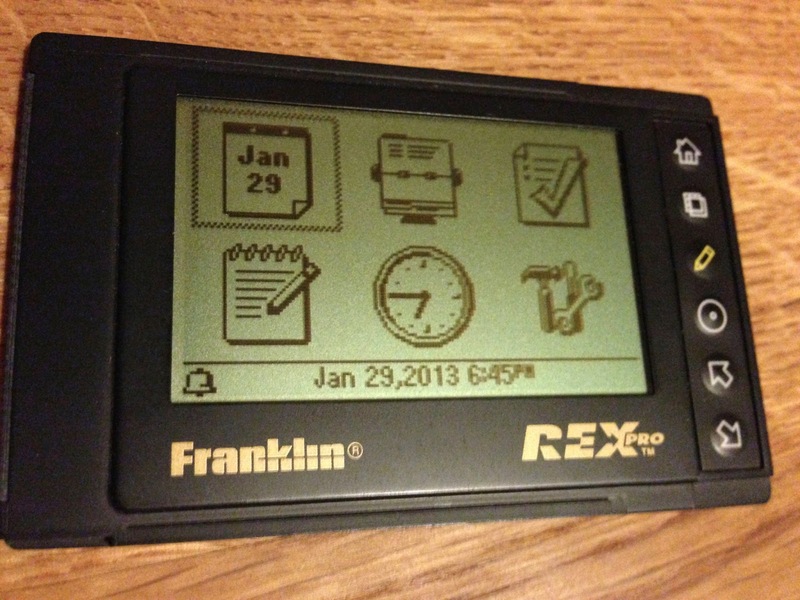 So perhaps it is time to try it out again and make some more data driven Palm OS apps. If I can I'll post about the experience of it as I go too. I've never owned one of these, I had the NX73v and never went to a higher model for lots of reasons, but for me those devices were really iterations on the NX series and, whilst they were bigger and better, never expanded the functionality into new areas. Another very useful bunch of files if you're a Bhajis user. 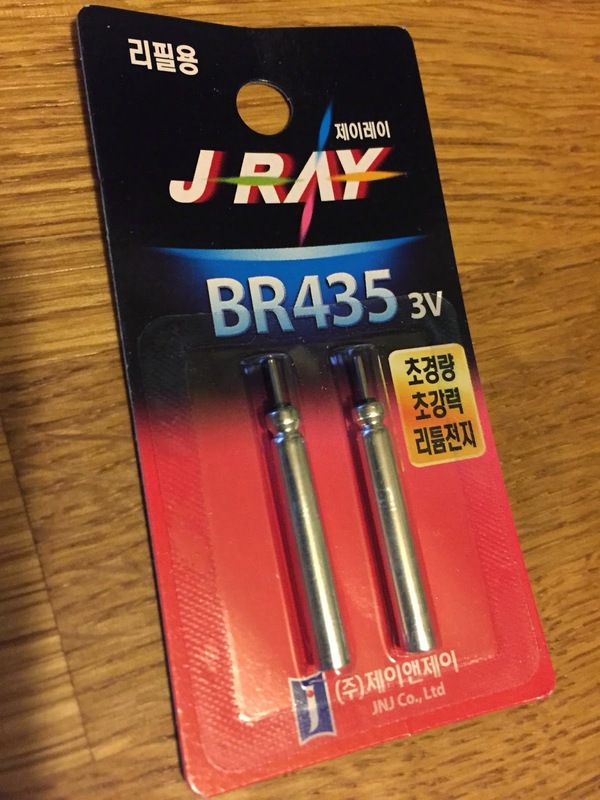 Not very useful if you're not of course. These sample libraries have loads of excellent sounds in them, so feel free to grab them at the library. Which was a really big thing if you consider just how big smart watches and similar devices are now. Back then it was a novelty, and some of these devices would really weigh your wrist down! Although I have to say that I know very little about this device or what Garmin did with Palm OS as I've never been too interested in GPS on its own. 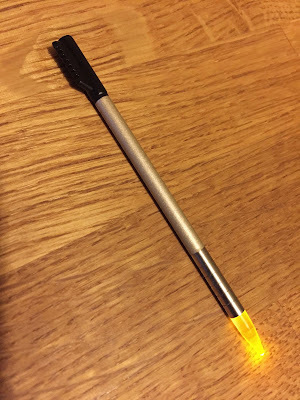 I thought that getting this special stylus with a illuminated tip was a great idea. Guess what? Haven't used it at all. I think that a lot of the tech economy has always been based on great ideas that you'll never use. Another very useful collection of files is the total and complete set of Bhajis Loops Plug in files for Palm OS. The set also includes the only two third party plug ins, Corrosion and Alleygate. 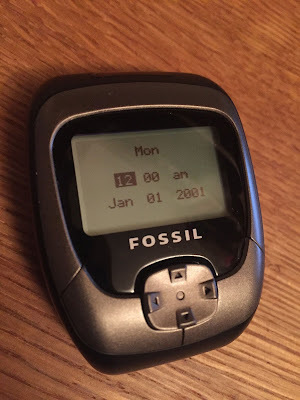 I decided to get my old fossil going again to see what I can do with it. A new battery, and a new lease of life for it. What I'd really like to try out is getting something on there of my own. I've not researched this at all as yet, but hopefully I'll get around to it in January (this year that is). 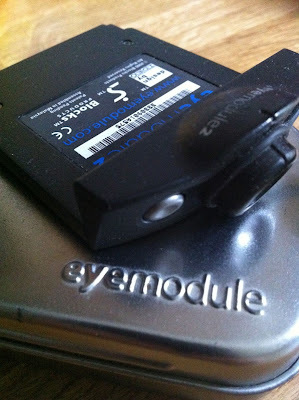 The eyemodules one and two. The version 2 was able to take video as well as stills. The colour version of the Handspring. It was a really lovely device. Really cool. One of the first little apps I made for the Palm OS. It doesn't do a huge amount and was more about finding out what I could make and what I could do. It's on the library here, but also there are the iziBasic and ViziBasic files for it as well, just in case you wanted to tweak it a bit yourself. Starting today I'm going to be highlighting the files in the Palmorama library. First up is Bacterium, which was really just a proof on concept app showing some basic DSP functions. The file in the library is just the .prc download and nothing else. I think I did have the code for it at one point, but it was a HB++ file and HB++ is no more sadly. So it wouldn't be of any use to anyone. It seems amazing to me that this little site will hit 10 years in April. How did that happen! It just doesn't feel like it could have been 10 years at all. Still, I'll have to have a think about how to celebrate this now. Perhaps revive the entire PDA market! Here's to 2016 and to lots more about Palm stuff this year. Happy new year from Palmorama!